Nottingham Panthers player-coach Corey Neilson praised tired trio David Clarke, Matthew Myers and Rob Lachowicz after the resounding Challenge Cup semi-final first leg win over Belfast. 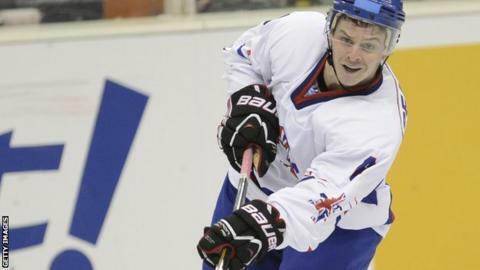 They rejoined the Panthers after Great Britain's failed Winter Olympic qualification campaign. Late strikes from Lachowicz and Clarke completed the 5-1 home win. "They looked a bit tired, but we managed their minutes and got them in good situations," Neilson said. "They played well together. Playing in a tournament like that, which is so intense, they fatigued quite early. "Lacho really injected a lot of speed into that line." Meanwhile, Neilson admits the rest of his team got off to a slow start having been given a two-week break in the lead up to the semi-final at the National Ice Centre. "It is always tough for guys when they are coming back from European vacations," Neilson said. "We were a little sloppy in the first, but cleaned it up and got the rust off and executed fairly well at the end." Clarke and Matt Francis netted two goals to give the Panthers a commanding advantage ahead of the return leg of the semi-final in Belfast on Tuesday, 26 February.